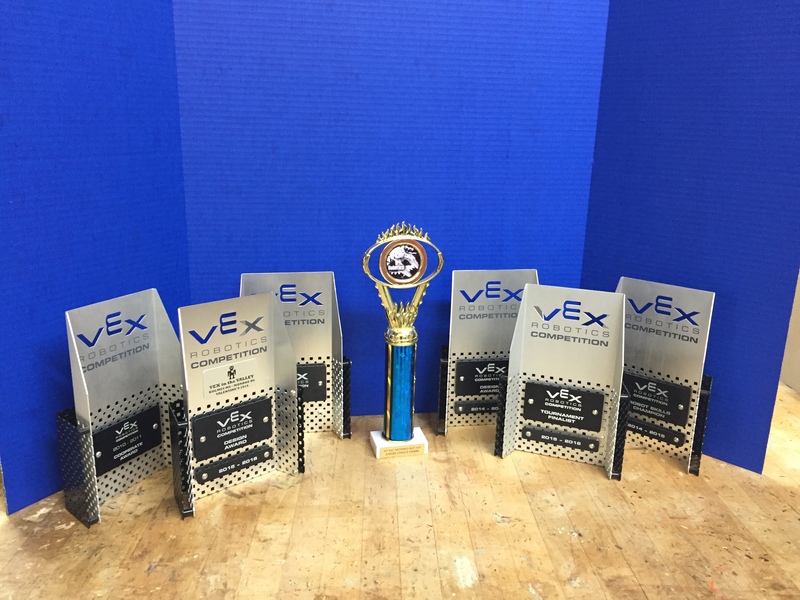 Cadmus Robotics 310A and 310B have competed in VEX Robotics competitions for 8 years. In the past two years, 310A and 310B have grown immensely, receiving many trophies, placing high on World Rankings, and consistently placing in the Finals or Semi-Finals at competitions. In 2016 we added a new team, 310C. In its first year the team won design award and also placed consistently in the Semi-Finals at competitions. Now Cadmus has three teams to bring to competitions now and in the future.